Stunt of the season? I think so. 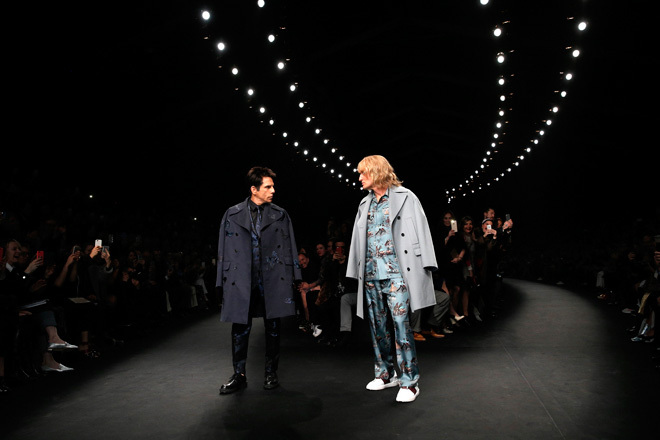 At the Valentino Fall 15 Paris show, Ben Stiller and Owen Wilson reprised their beloved Zoolander characters, Derek and Hansel. Their surprise strut down the runway culminated in a fierce face off that closed the show and set Twitter, Facebook, and Instagram ablaze with photos of the two. Outfitted in custom Valentino suits, these two gave us a look at what to expect from the sequel – humor, antics, and most of all fashion! I was elated to see the comedic pair lighten up fashion week, but I also have to note that this is an amazing PR stunt. Let’s not forget that fashion is a commodity and positioning Valentino with the cult classic “fashion” film is great press for both the brand and the studio. Paramount has already announced the February 2016 launch of Zoolander 2 and filming began in Rome last month. So, will the Valentino brand make a cameo in the movie? My guess is yes, but unfortunately we won’t know for sure until next year. Let’s just hope this sequel is worth all the hype. 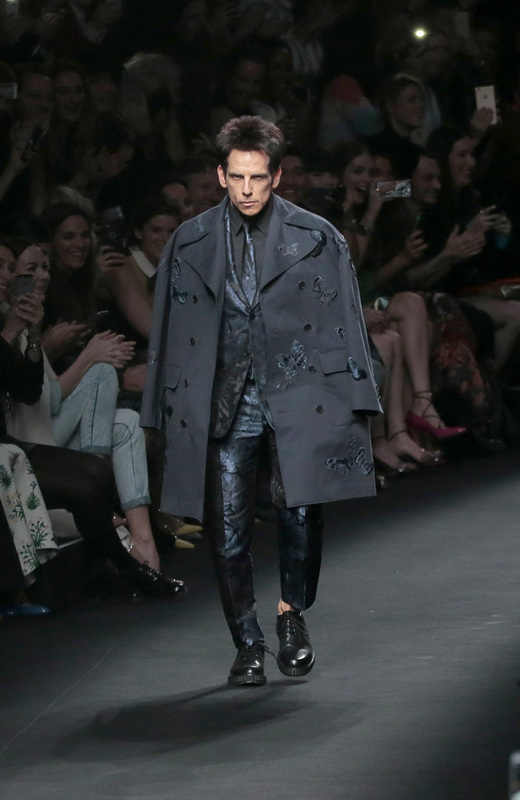 Ben Stiller at Valentino during PFW. 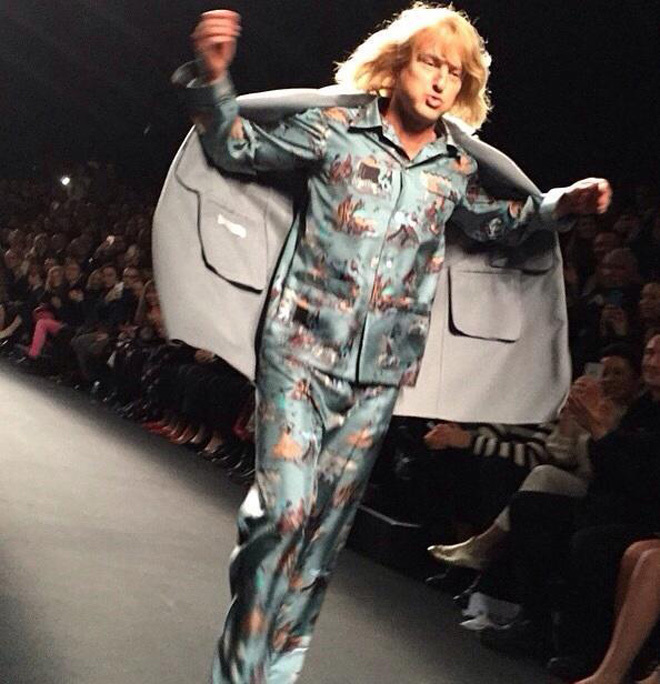 Owen Wilson at Valentino during PFW. Ben Stiller & Owen Wilson at Valentino during PFW. 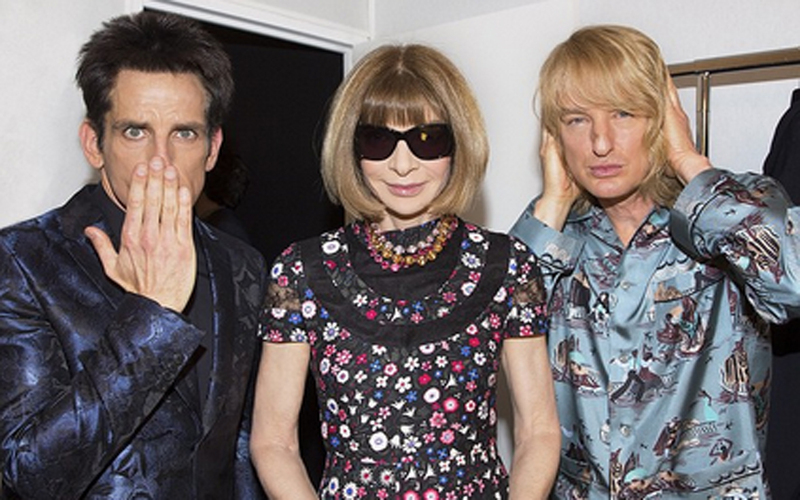 Ben Stiller, Anna Wintour, and Owen Wilson backstage at the Valentino show during PFW.